I'm so happy you're here! 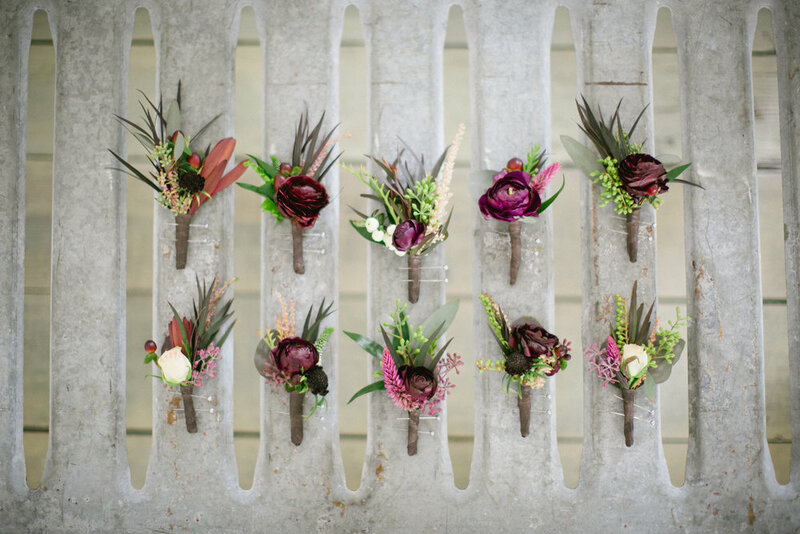 I don't often have time to blog, as I'm usually up to my eyeballs in flowers! However, it is my "early" New Year's resolution to be better about updating this- so come back y'all- I'll try to post something pretty for you to see! 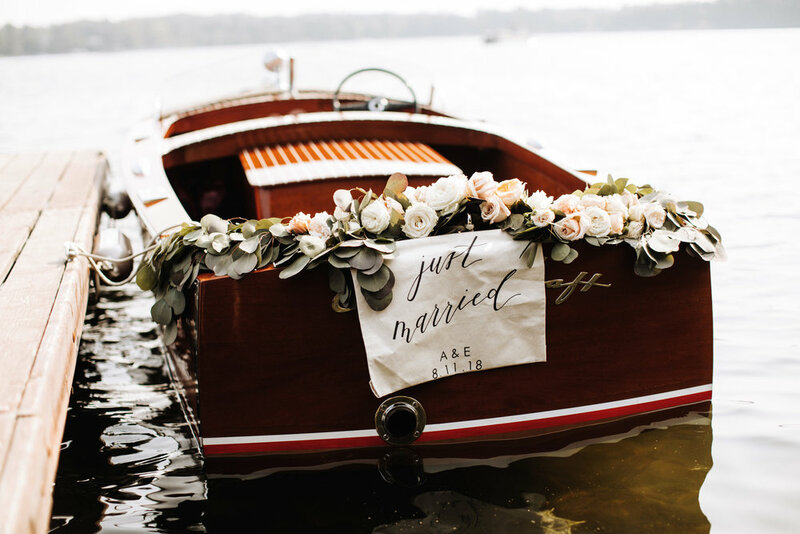 When your wedding takes place at the lake and your venue is called “The Boathouse”, it is only fitting to have a nautical themed wedding! 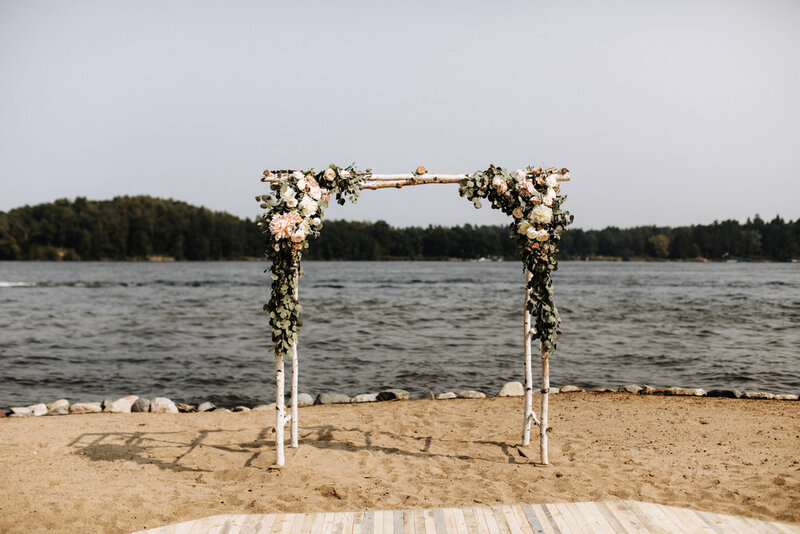 S + S’s day was nothing short of a perfect lakeside wedding. 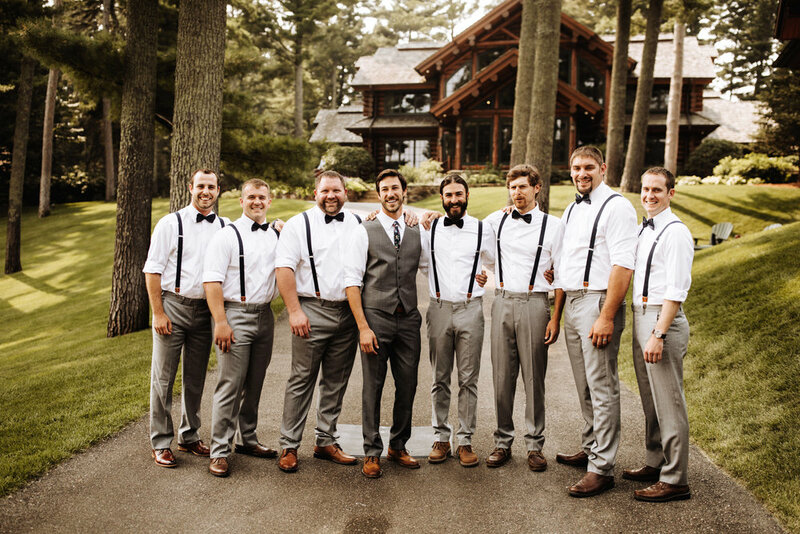 Their ceremony took place overlooking the water with cold drinks in a canoe for guests. 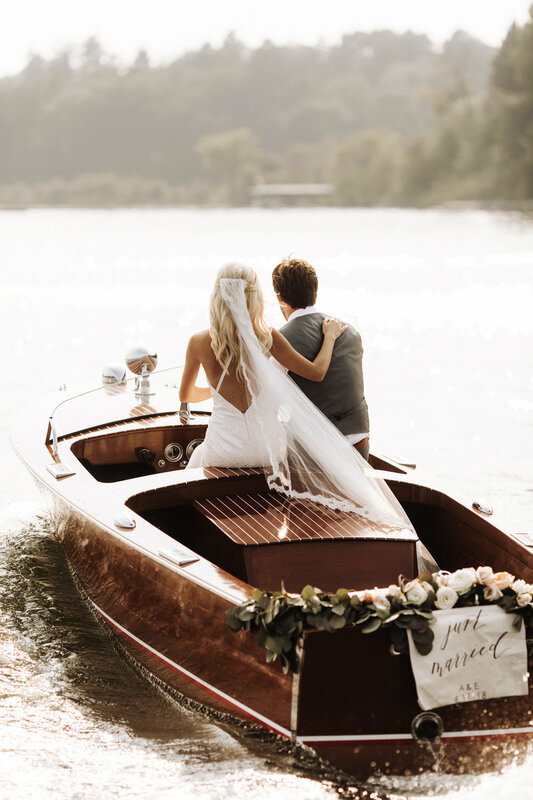 It wouldn’t be a nautical theme without a boat ride for the bride and groom following the ceremony. 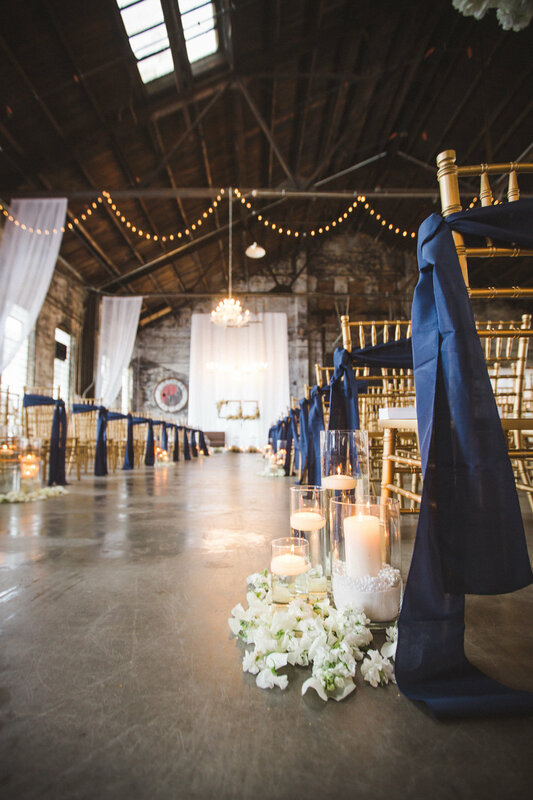 And you have to see how these navy blues & bright colors popped so well against the white boathouse! Simply put, it was a beautiful, sunny day with a beautiful couple! 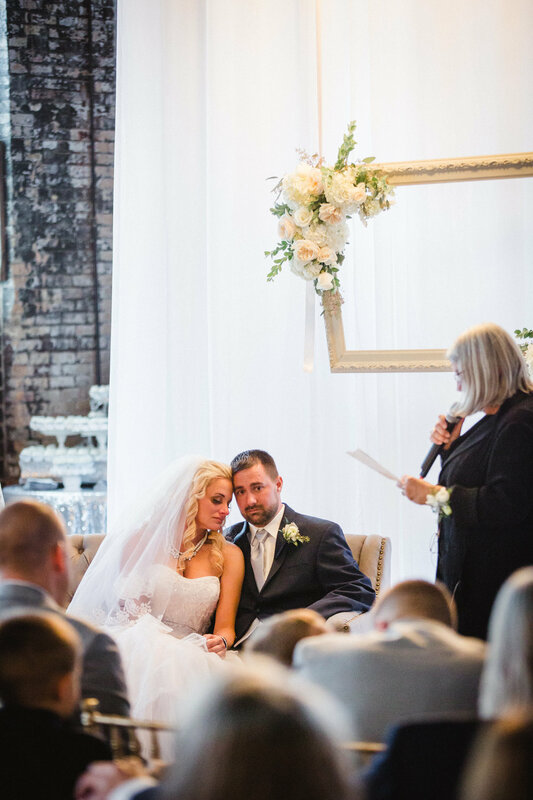 We are so happy we got to be a part of their day! 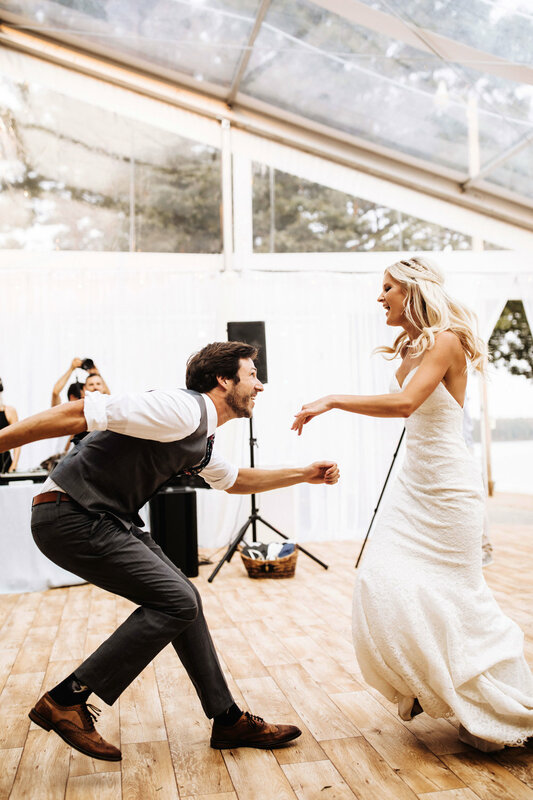 When a bride and groom thoroughly enjoy their wedding day….this is what it looks like! There isn’t a single candid picture where these two aren’t beaming with smiles. E + B were such a pleasure to work with and looking back at these pictures, we are reminded at how fun and outgoing these two are! 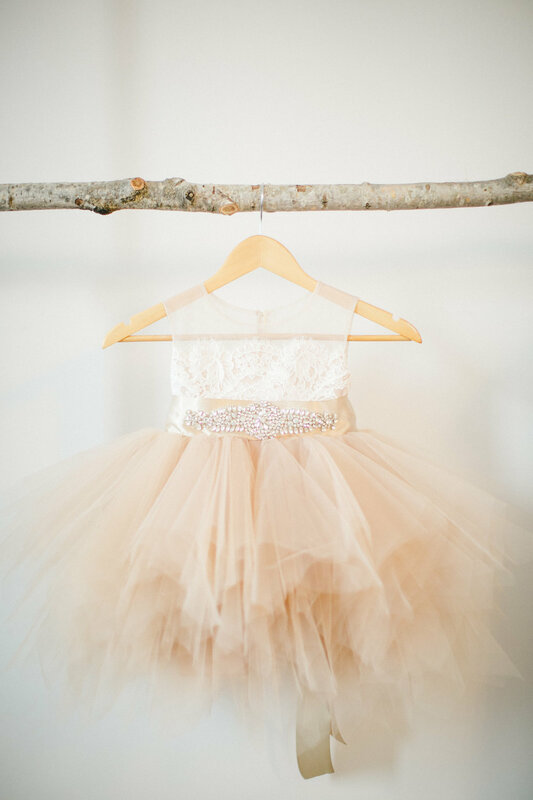 The bride with her stunning two piece dress and her mismatched bridesmaids…swoon! 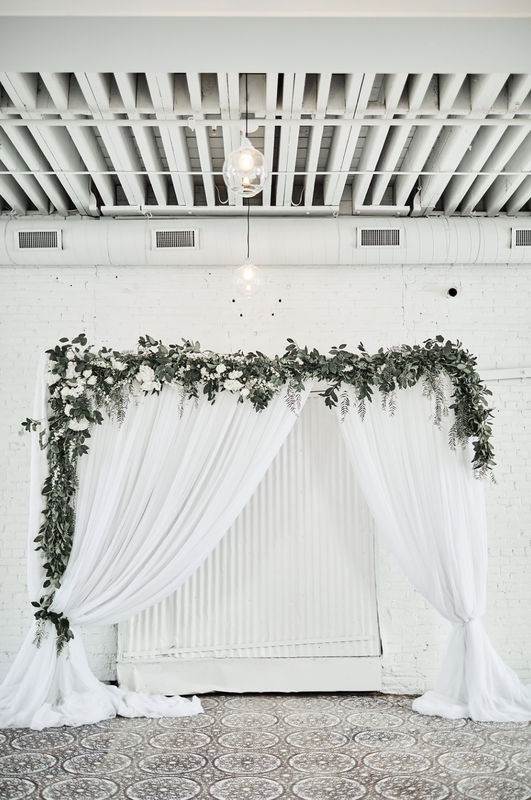 No detail was overlooked from the floral arrangements we created for the church & entrance into the reception space, to the floral surrounding their dreamy seating chart and hanging installation! As always, we could try to describe the perfection of this day but instead let’s have you scroll through and see for yourself! 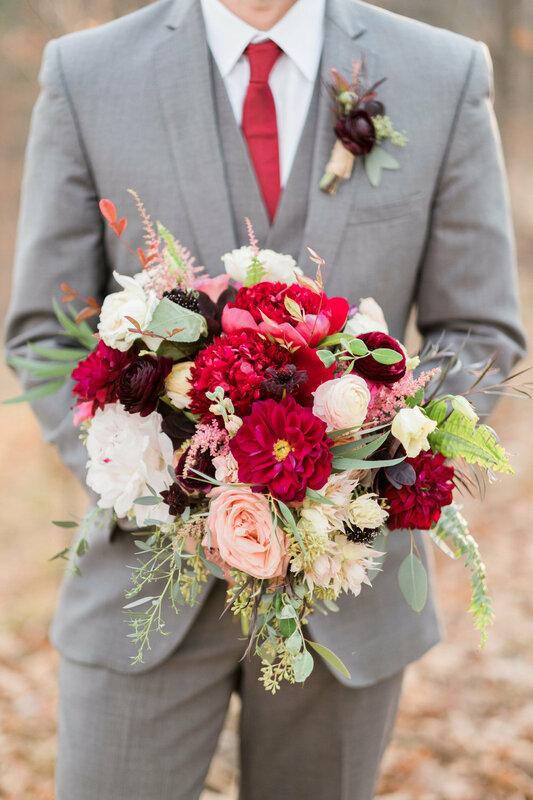 This colorful fall wedding was simply out of a dream. 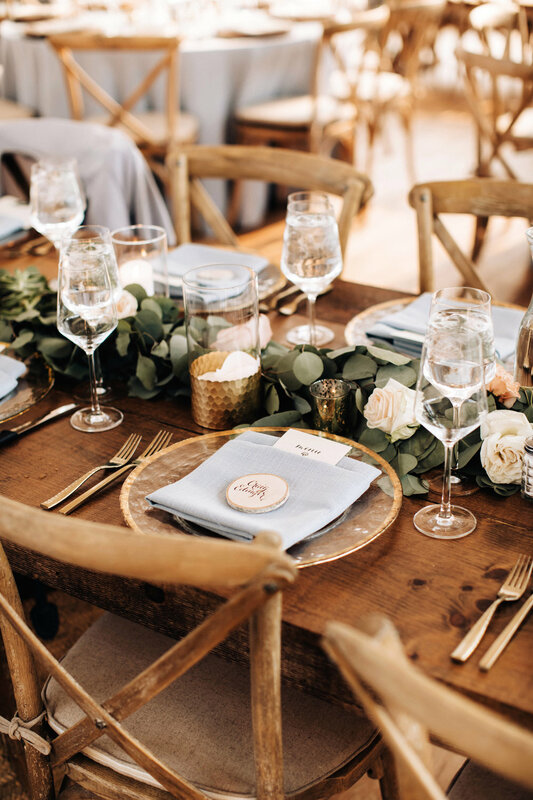 E & N’s laid back, down to earth style shined bright on their big day. 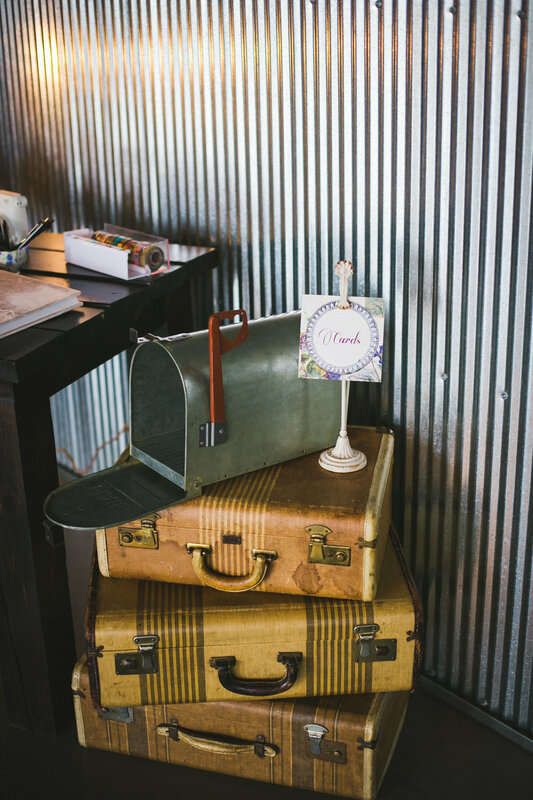 From the beautifully mix-matched bridesmaid dresses and vibrant fall tones to the Nintendo lounge, no detail was overlooked! And their head table? 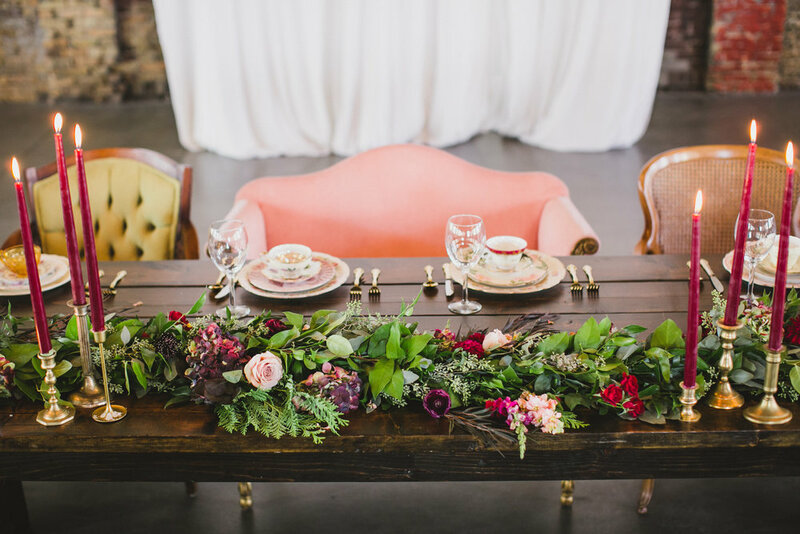 This is what head table dreams are made of! 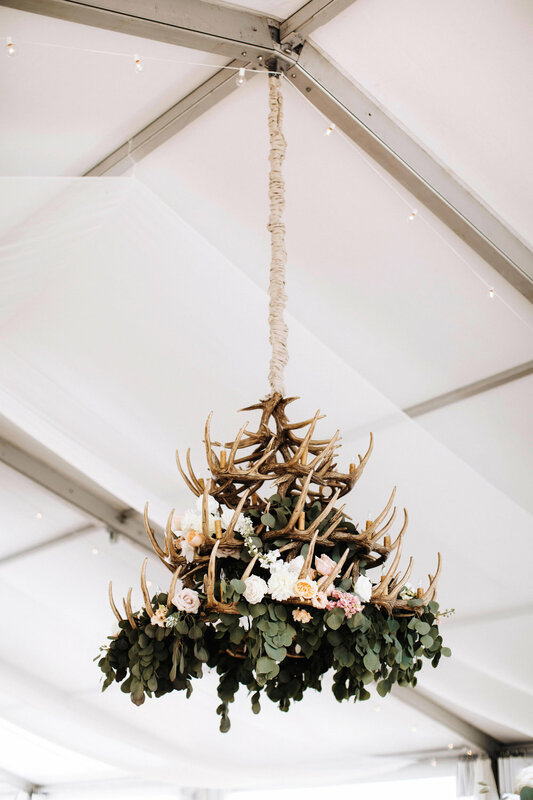 We had so much fun creating this colorful hanging arrangement and paired with Farmhouse Foundry’s vintage chairs were the perfect touch. It was such a pleasure styling this couple’s day! You won’t regret scrolling through these! Every year I am blessed to design and plan the main fundraiser for Brighter Days Foundation, a local "make a wish" organization that plans giveaways for local kids with serious medical illnesses. 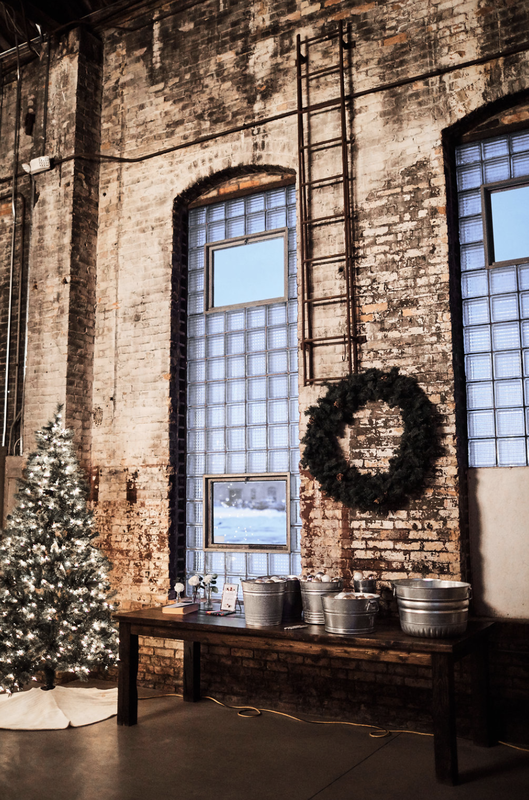 This year I got to turn NP Event space into a barn (well, my version of it anyway) and had an absolute blast with my great team. My heart is full when I get to use my skills for projects like this. 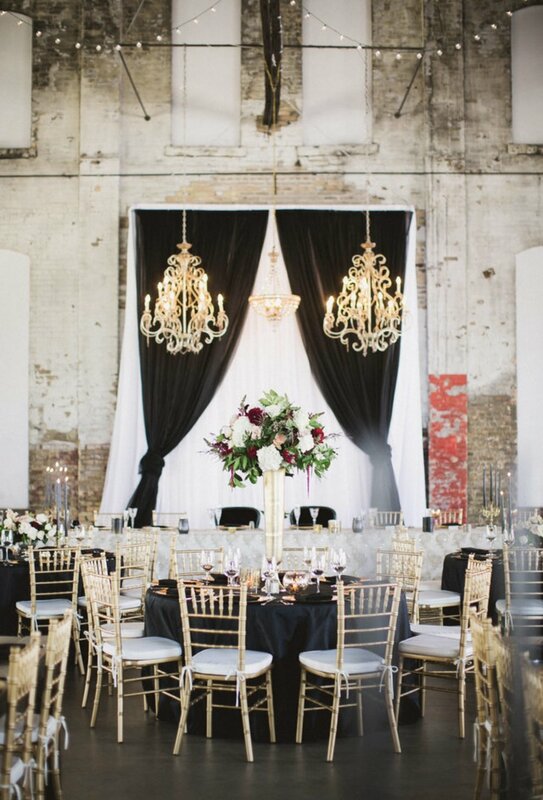 A gorgeous couple and their creative vision along with a dreamy venue can only lead to a breathtaking wedding! 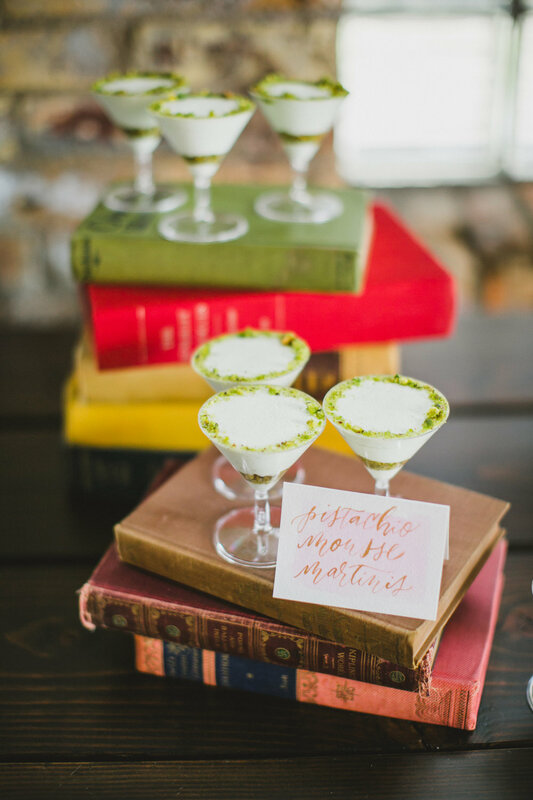 With all of this combined, this day could be mistaken for a styled shoot. 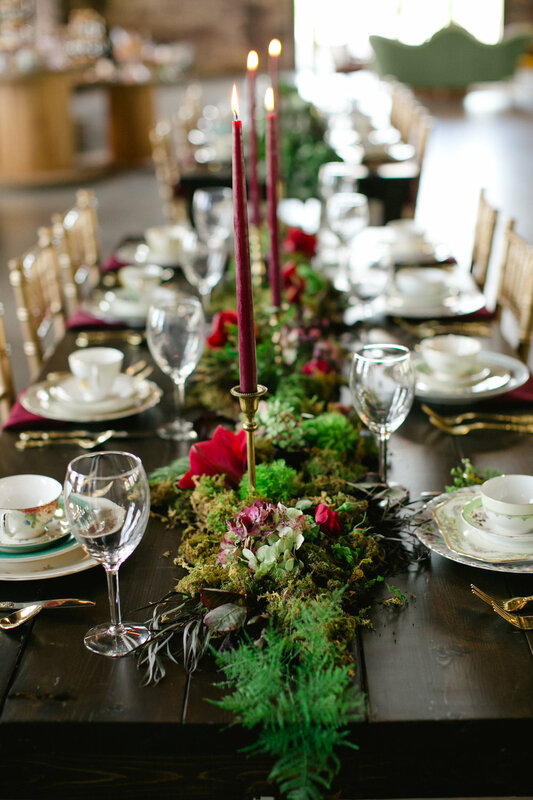 From the outside ceremony to the reception in Luminary Fern, the day was simply perfection. 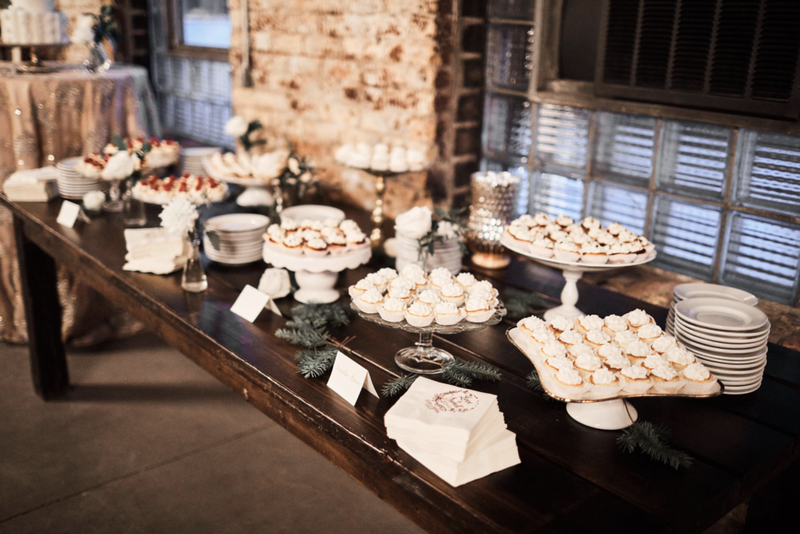 The laid back couple and bridal party allowed for an intimate setting in such a beautiful space. 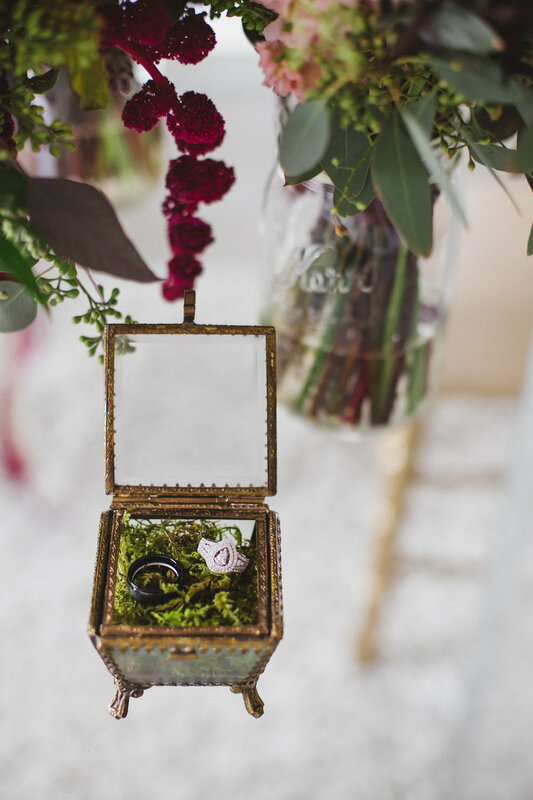 We loved the subtle, unique touch of using crystals during the ceremony. 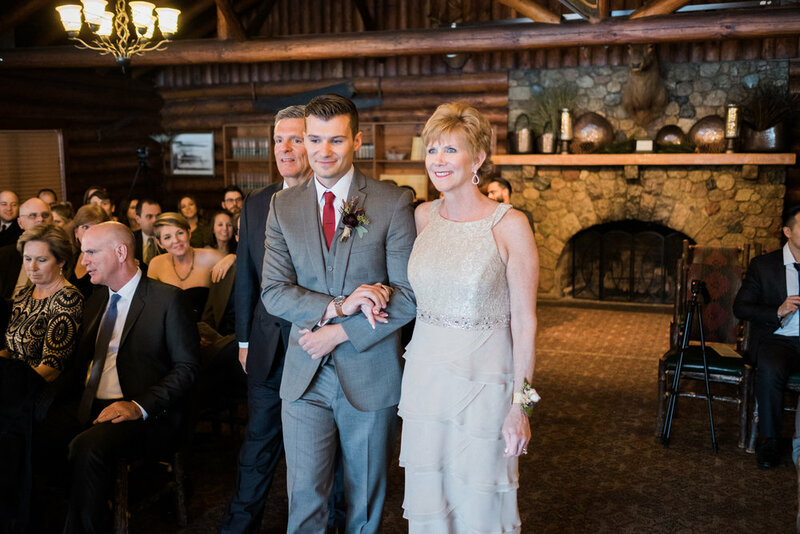 Each guest was given a crystal during the ceremony to capture the good thoughts and wishes from the guests for the couple in their marriage. Guests also received a crystal at the reception to take home. 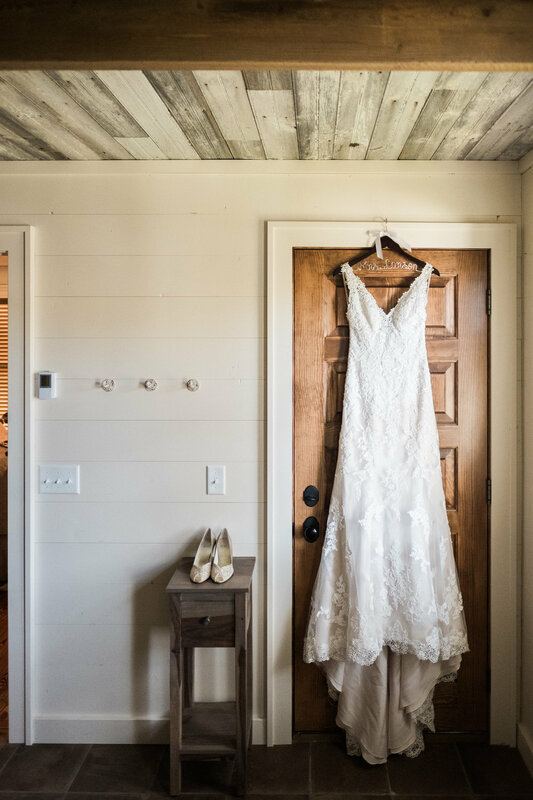 I’ll let the pictures speak for themselves but I must say, the bride was such a trooper going into the field for majestic pictures only to come back with burs covering the bottom of the dress! 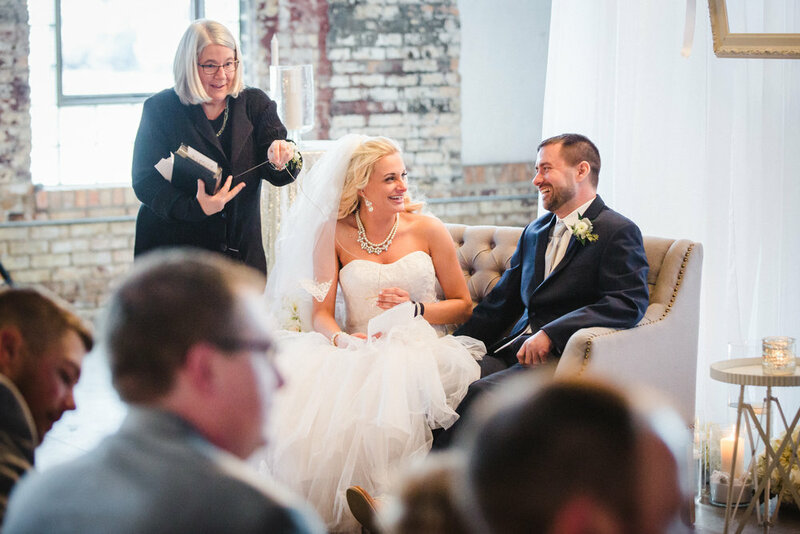 Good thing we don’t mind a few pokes for the sake of our beautiful brides! 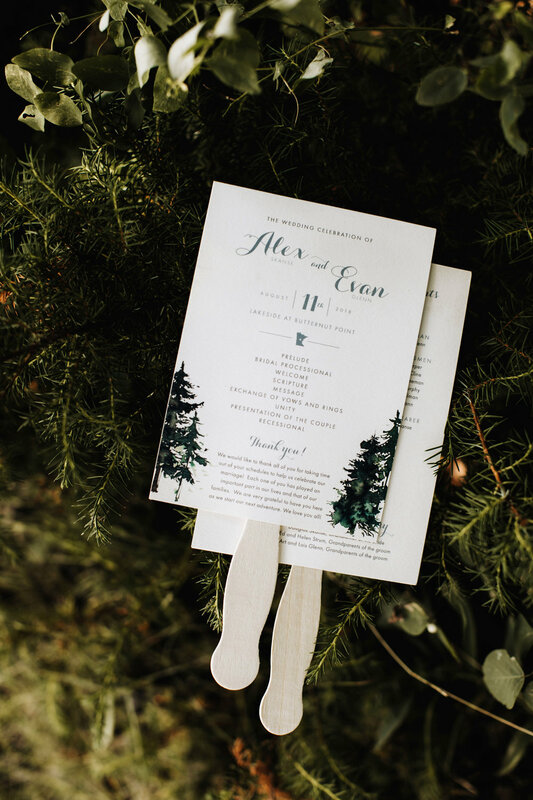 We love when couples are adventurous and willing to do a winter wedding in Minnesota! 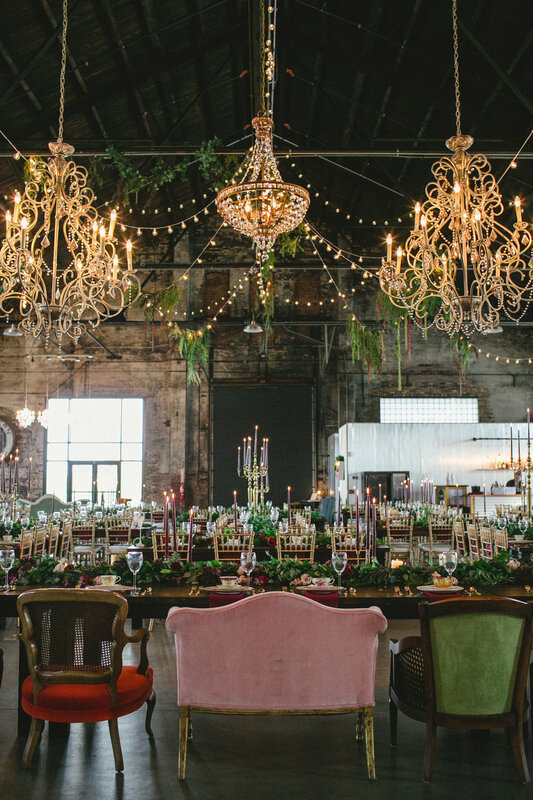 L + B’s December wedding was nothing short of magical. 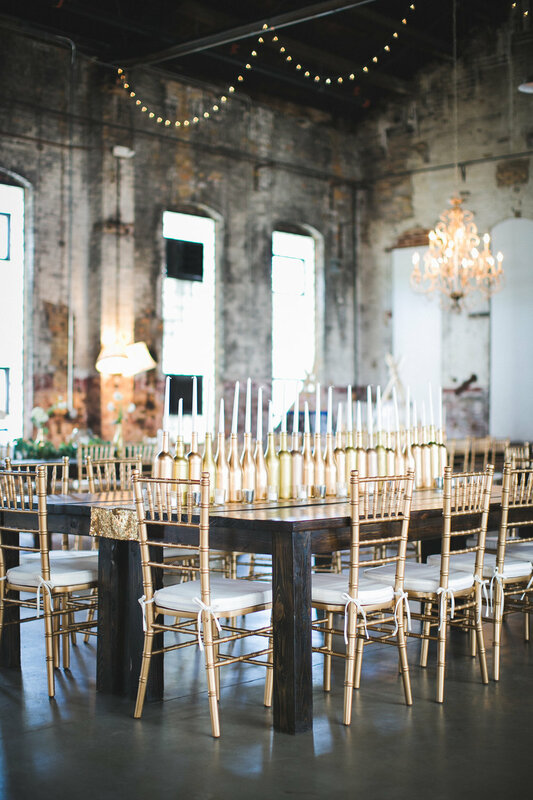 From the ceremony at Luminary Fern to the reception at the NP event space, it was a perfect day! 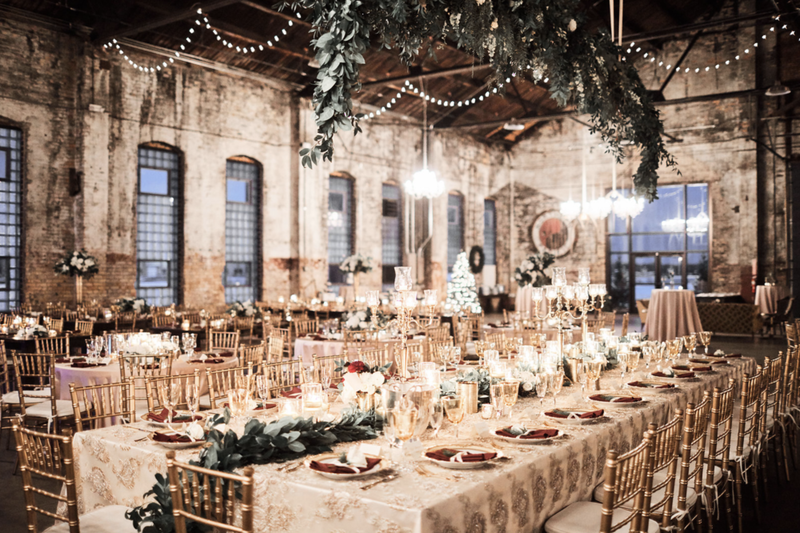 It was such a joy transforming the reception space into a Christmas winter wonderland and reminiscing on this wedding is a great way to get into the Christmas spirit! 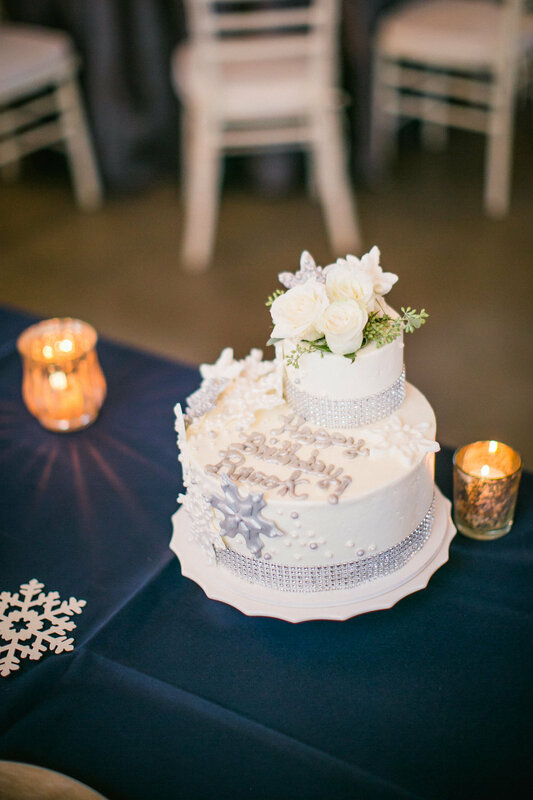 And would it really be a winter wedding without some snow in the pictures?! 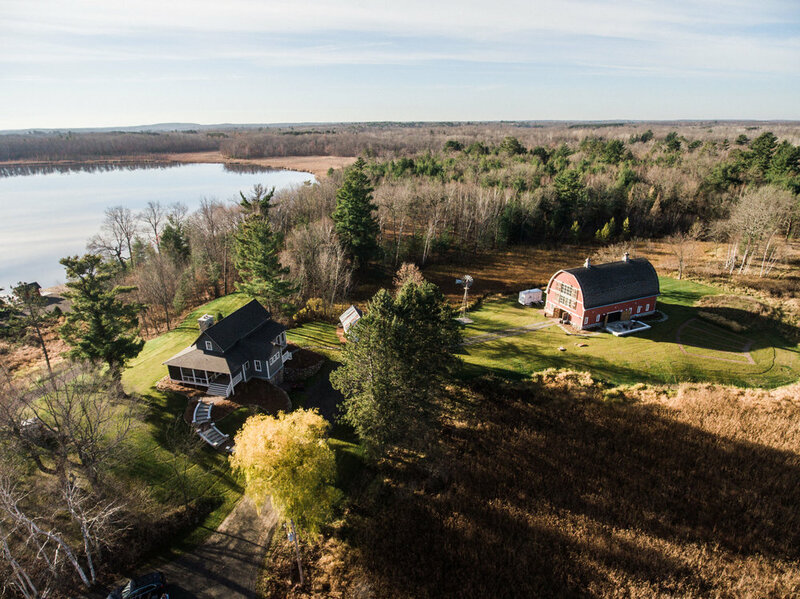 We will let these beautifully captured photos speak for themselves. What a special couple! It isn’t often that you meet a couple that started off as high school sweethearts and 10 years later, they are ready to say I do! 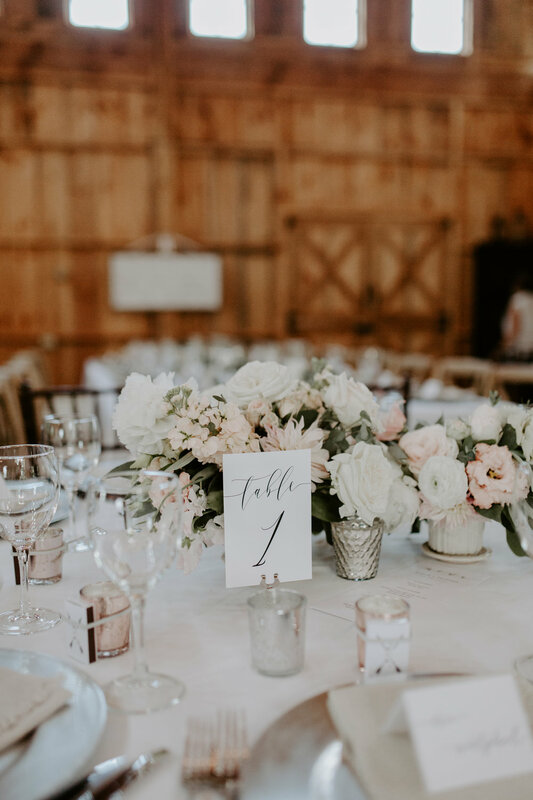 M + W’s wedding was the perfect way to finish off the summer wedding season and get us excited to jump into the fall season. And what is a summer wedding in the Brainerd Lakes area without a boat ride and bridal party pictures on the beach?! 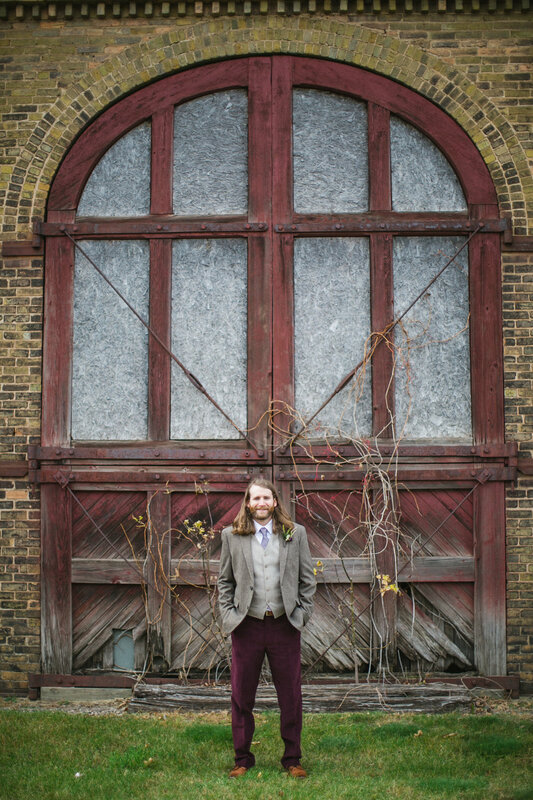 We were so happy to be a part of M + W’s special day and hope you enjoy their photos as much as we do! P.s. 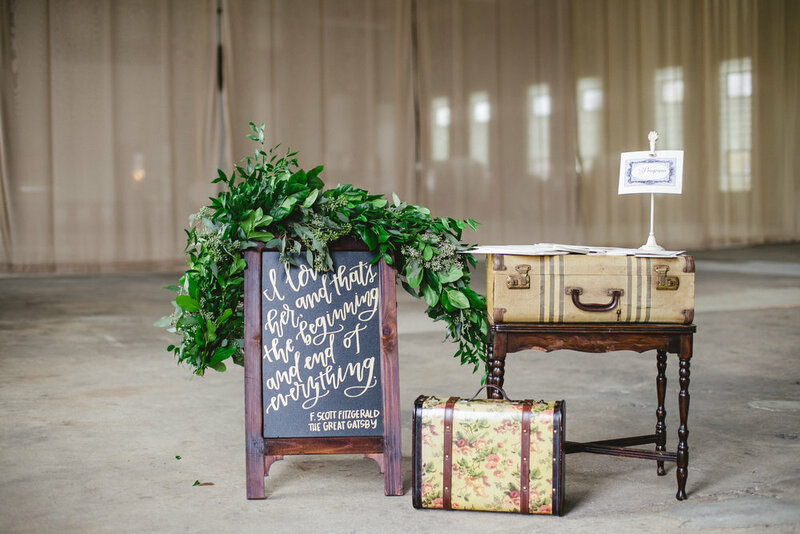 Can we just stop and adore that circular arch by farmhouse foundry forever?! 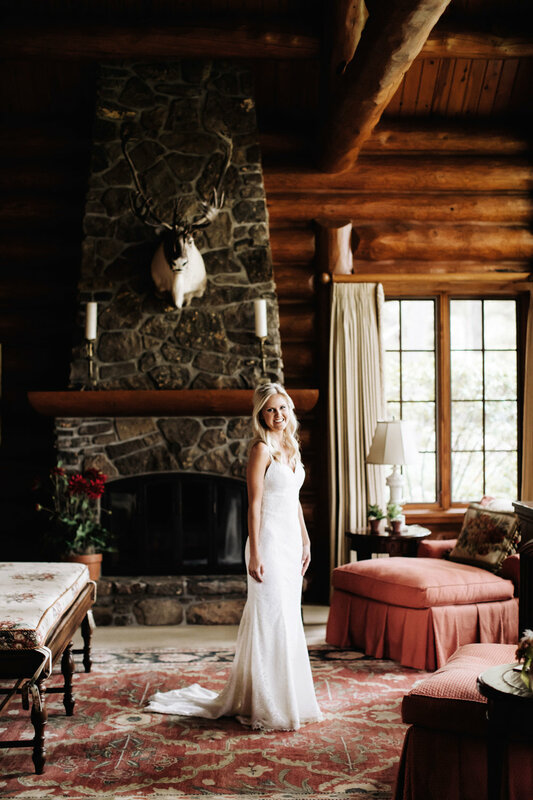 There are truly no words for this absolutely stunning wedding at a private residence in Crosslake this summer. 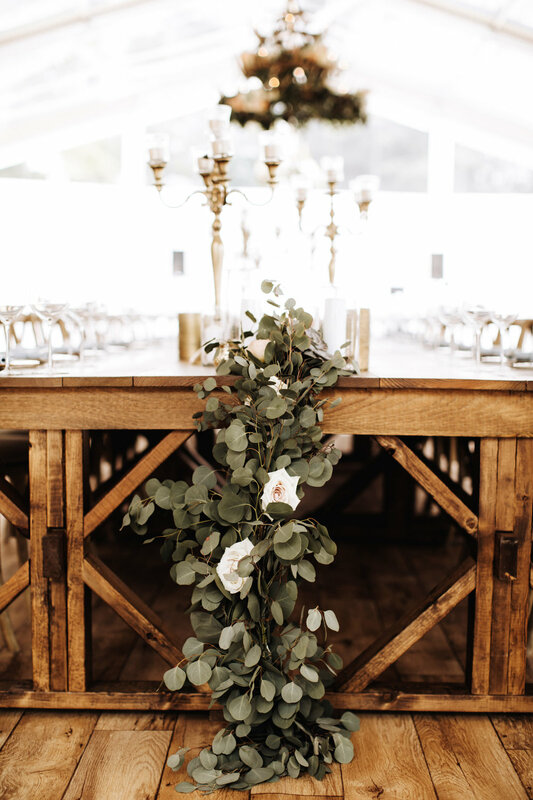 We were fortunate enough to do floral, design, and full planning for A + E and their wedding day. Wishing this sweet couple many years of happiness and it was truly our pleasure to help plan & design your big day. 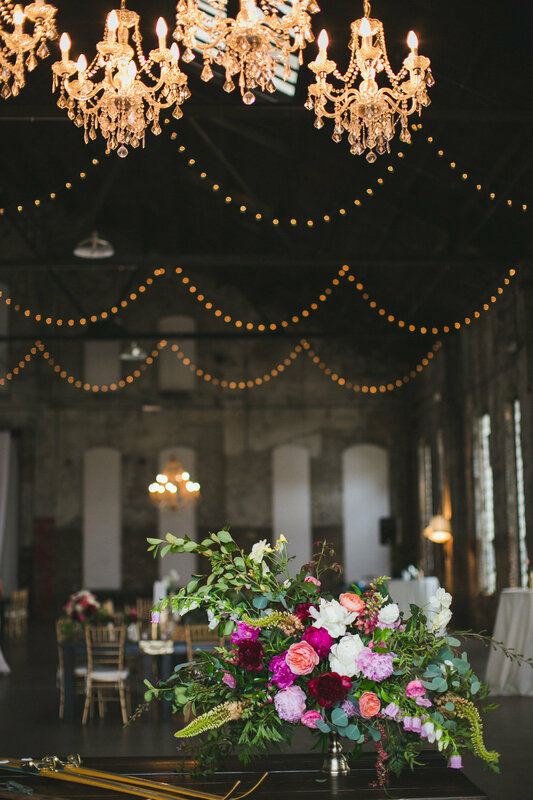 K + A sure know how to throw the perfect barn wedding. Seriously could this day be anymore beautiful? 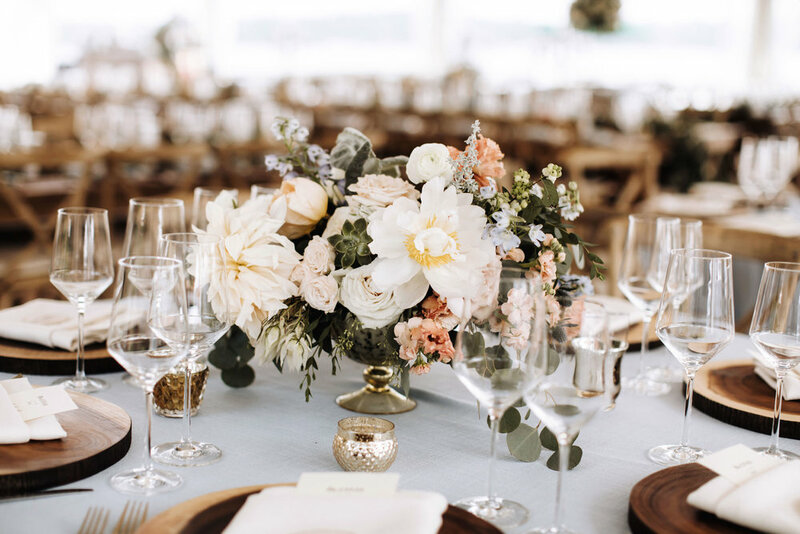 So many dreamy floral details that we were so honored and excited to bring to life! 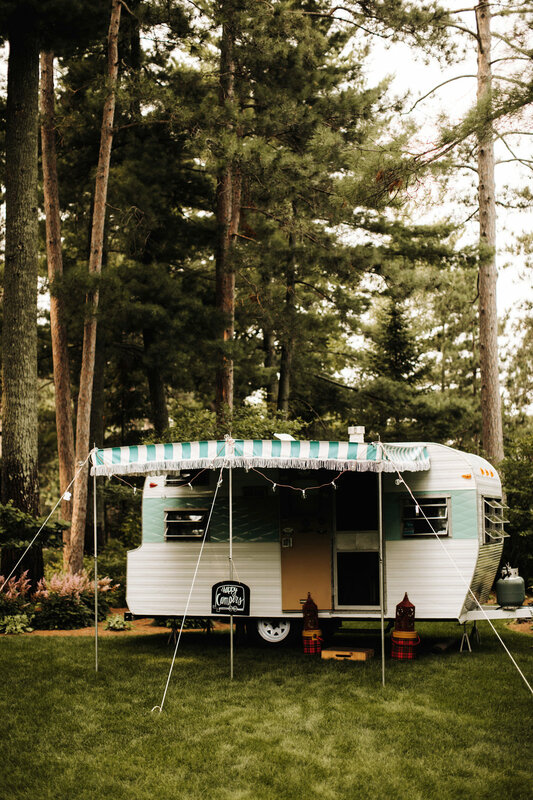 We were also totally jealous of their sweet getaway ride... Oh and can all weddings start using campers as photo booths? So fun. Major congratulations to this beautiful and humble couple. 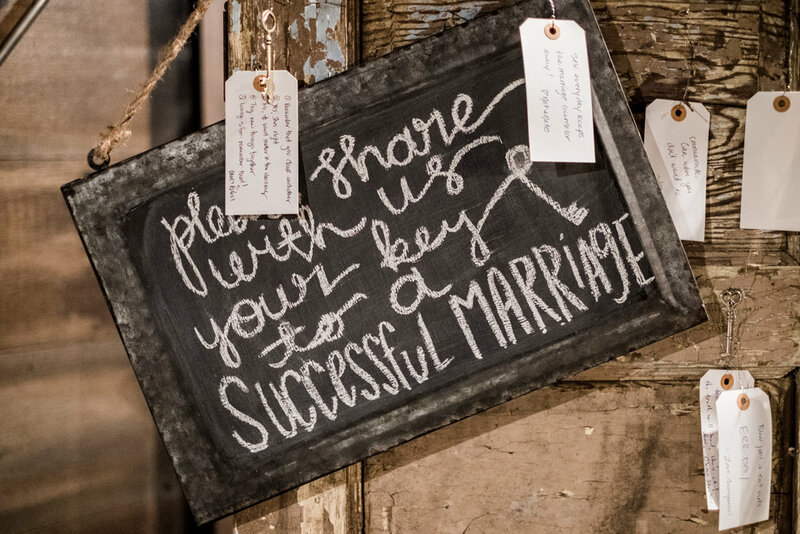 We wish you many years of wedded bliss! 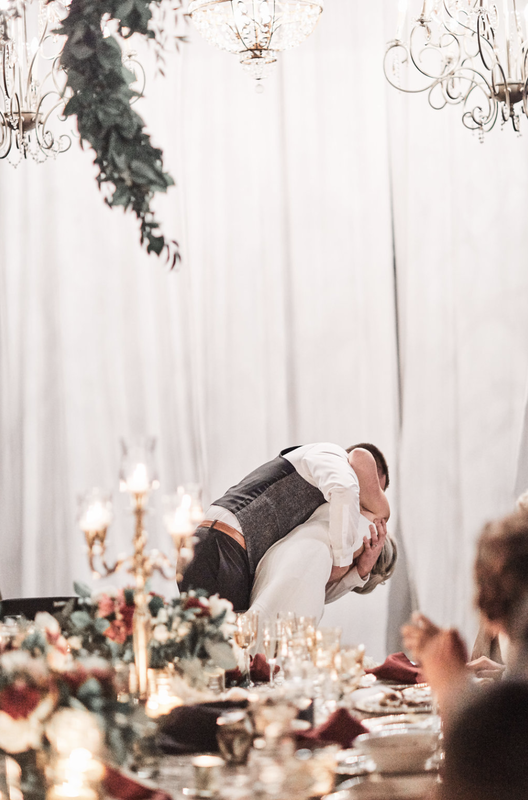 P.s.- Scroll down to see the groom's precious reaction to seeing his bride for the first time... And have tissues ready! 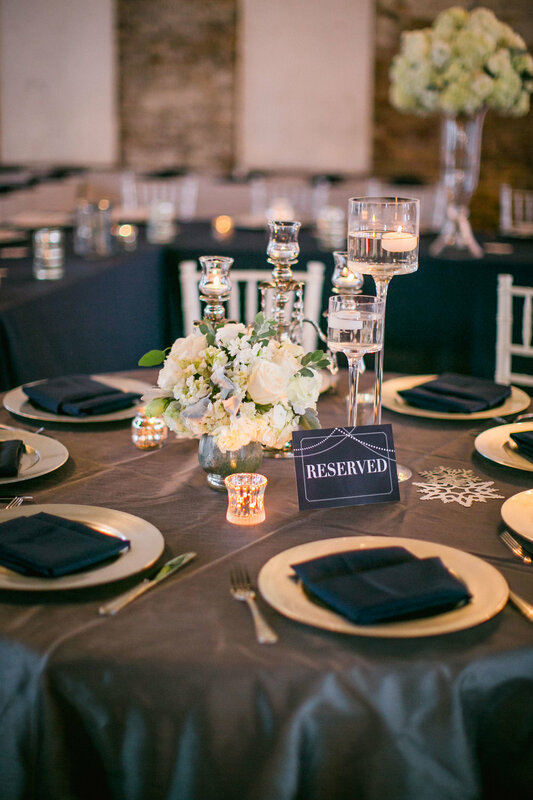 Talk about winter wedding goals... Joe & Ronni had an AMAZING wedding this year at Luminary Fern and The NP Event Space that we were lucky enough to also do wedding planning for. 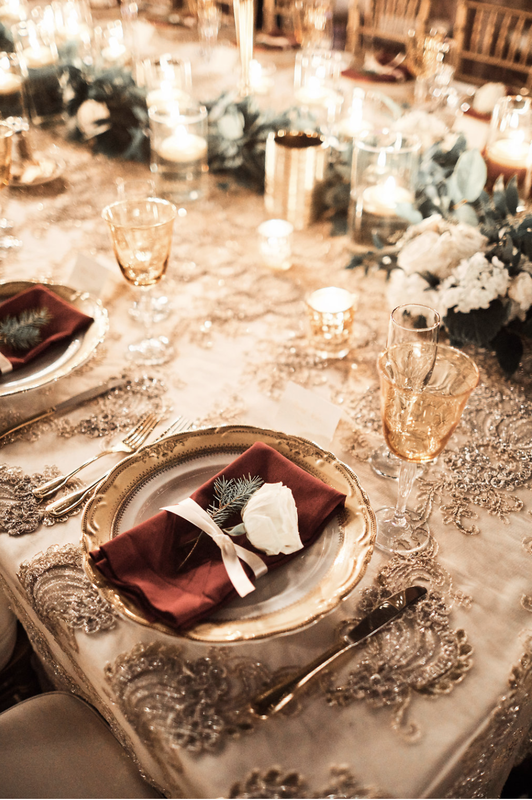 Everything was so elegant and came together perfectly. 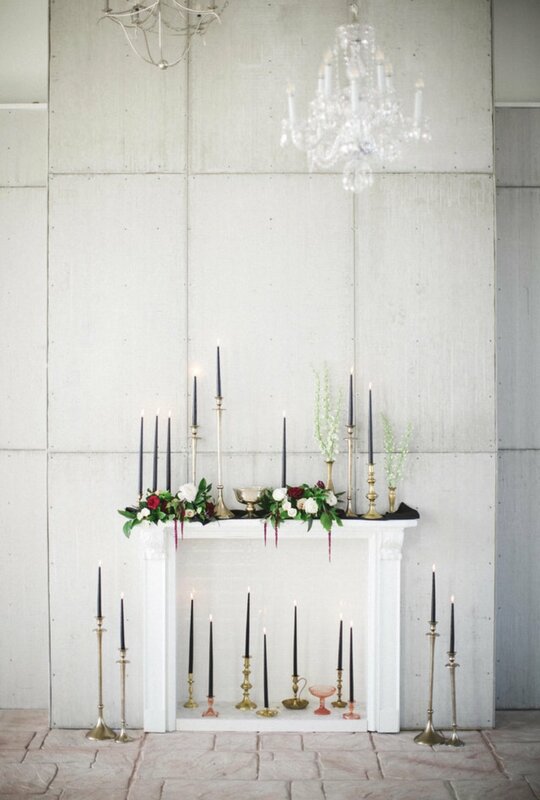 Not to mention the serious candle envy we're having with those green tapers and pillars. 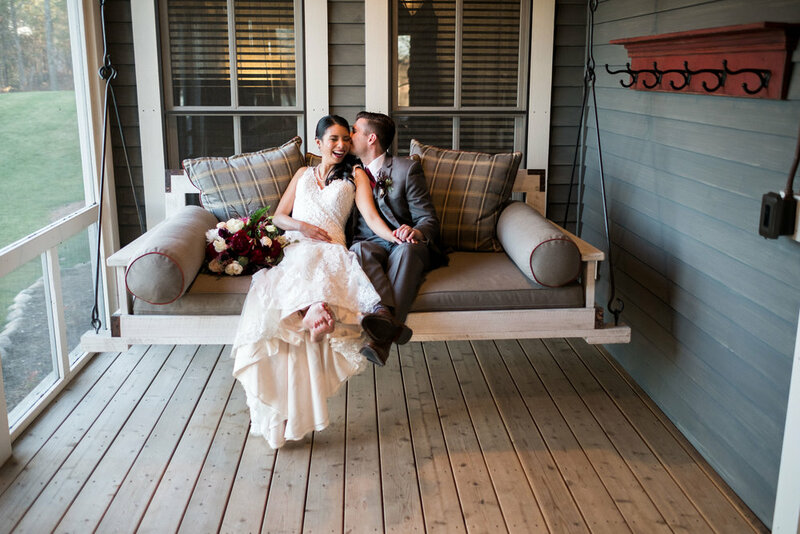 Wishing many years of happiness to one of the sweetest couples we've ever worked with. Oh & keep scrolling to see the sweet surprise Joe & Ronni will be expecting soon! Molly & Josh... Where do I begin? This lovely couple was married on a not so lovely rainy day last summer. Everything was supposed to take place outside but mother nature had other plans. 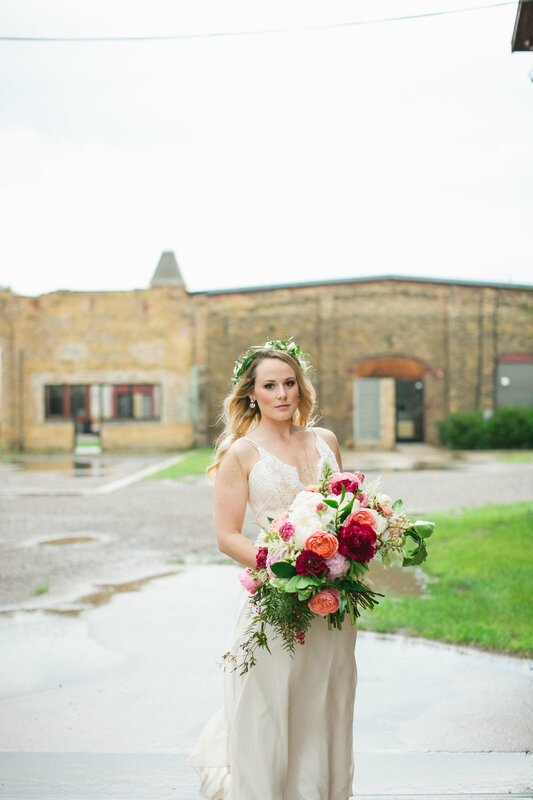 Despite the horrific weather, this was an absolutely GORGEOUS wedding. 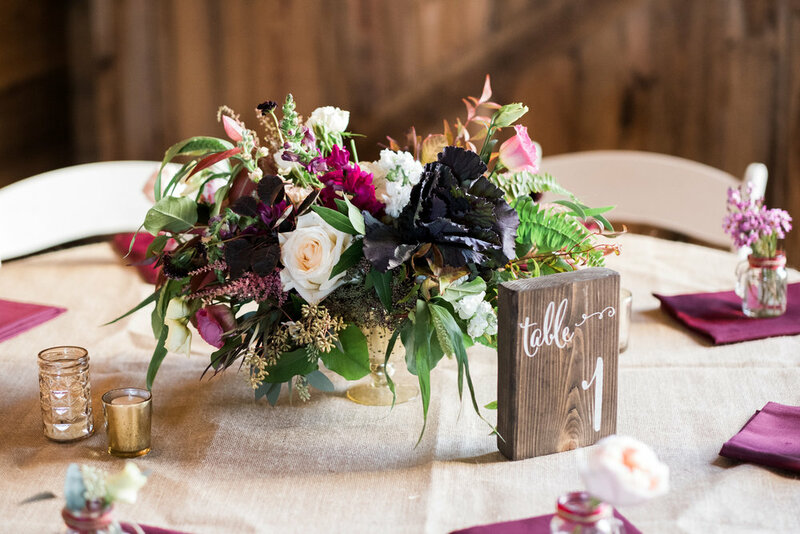 Their rustic yet modern vision came together so perfectly at Camp Foley. I can even thank Molly for adding Therapist to my job title. Ha! I think this wedding proves that rain on your wedding day truly does bring good luck. If these photos don't prove that, I don't know what does. Cheers to the happy couple! Last year we were fortunate enough to travel to St. Petersburg, Florida for Ali + Sam's intimate destination wedding at The Don Cesar Hotel. While they are both Brainerd Lakes natives, Ali's family has had roots in St. Petersburg for a long time. Ali and her mom, Cindy, have taught my daughters dance and are amazing role models for my girls (and the BLA community)... So being part of this wedding was like helping family for me. 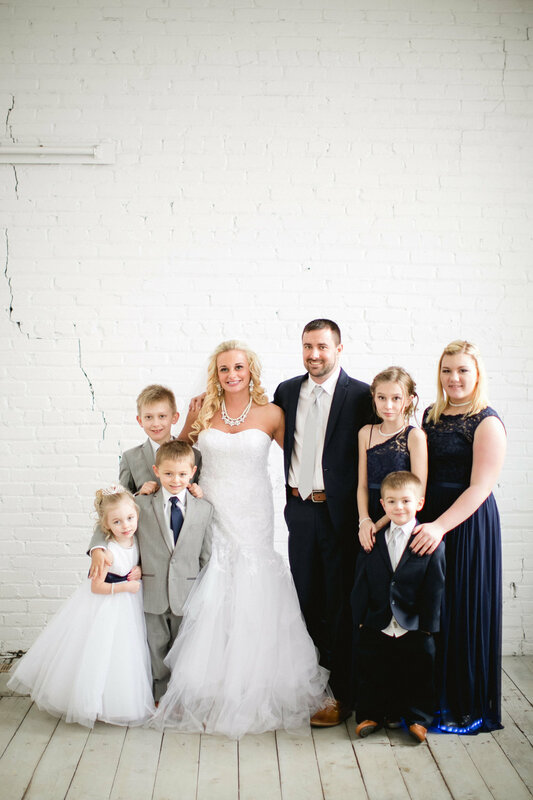 Besides being amazingly gorgeous, Ali and Sam and their families have the warmest hearts and it was my absolute pleasure designing and being part of their big day! P.s.- The Don Cesar was previously a hospital before being turned into a GORGEOUS boutique hotel. It also hosted every American president in history at one point. How cool is that?! 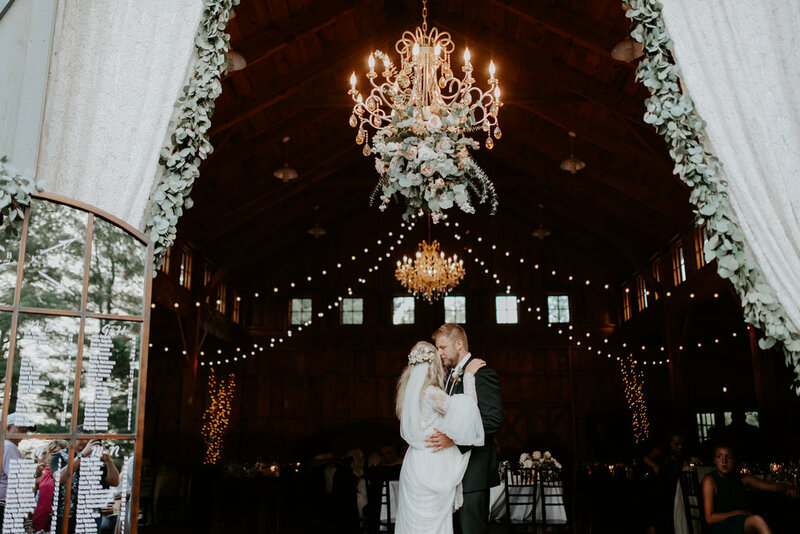 Staci & Nick had the most romantic March wedding we ever did see at some of our fave venues... Luminary Fern and The NP Event Space. 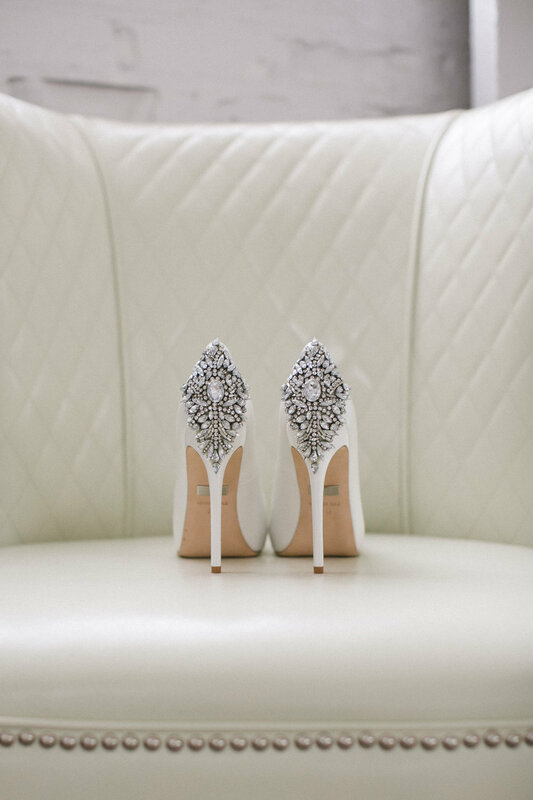 The bride wanted a Hollywood glam look with show stopper black accents. Her vision paired with this floral color palette... Magical! Many well wishes to this sweet sweet couple. I've been blessed that over the course of my life I've been surrounded by people who inspire me to be a better person. My parents, **Husband**, sisters, friends, wedding professional friends, clients, and especially these two- Miles and Brook. How can you not be? To watch these two care for each other and encourage each other so selflessly is nothing short of miraculous. To my wedding pro friends- you came through in a BIG way...HuuuuuuuGE. Lots of love to go around. Wow 2016 you were sure good to me! 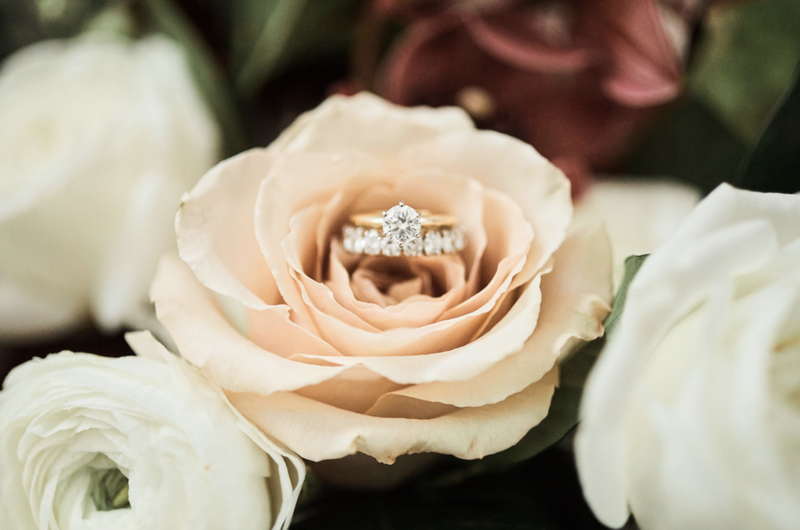 Grace and Kiel's wedding is the perfect example of how blessed I am to work with such amazing people (ALL of my couples/families have made such an impression on my heart), design and create to my hearts content, and to be part of the incredibly special role of telling my client's stories and celebrating their beginnings. 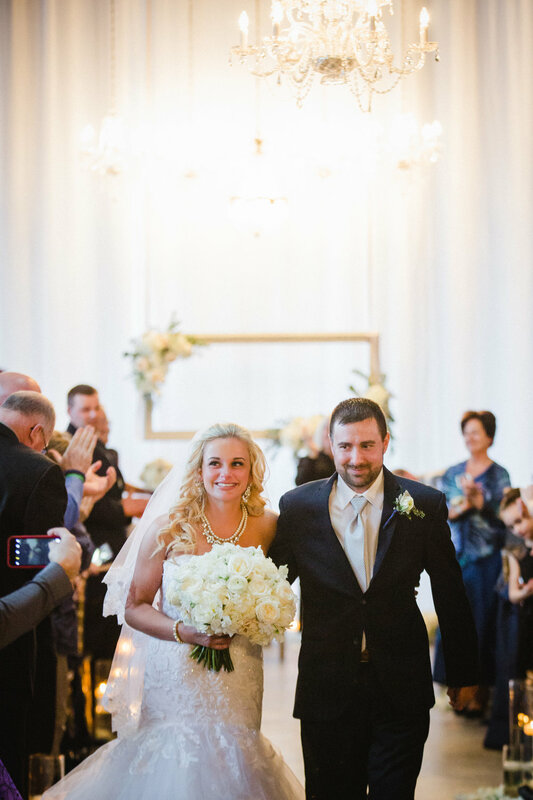 Grace and Kiel are a beautiful couple both inside and out and it was a joy to plan their day with them. 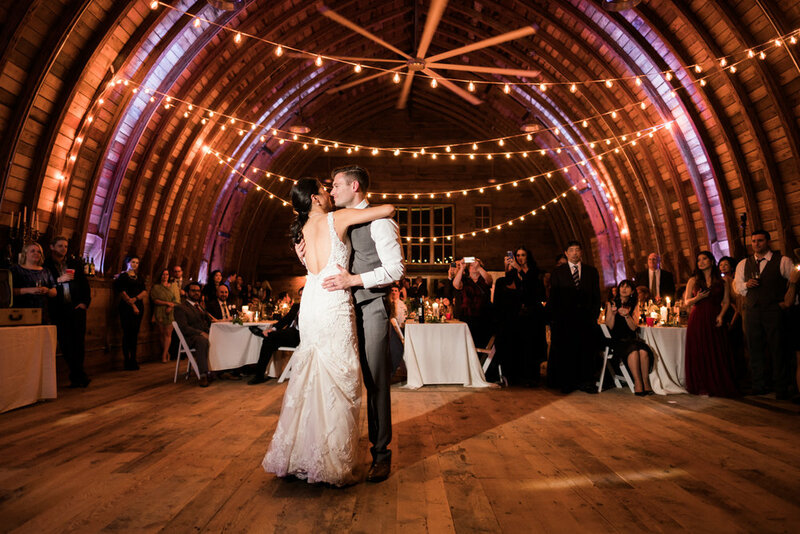 Their families and friends made for an unforgettable evening in a historic Sears and Roebuck barn that is absolutely INCREDIBLE. The wedding gods also gave us a 70 degree day (in N O V E M B E R) so all in all, one for the record books. Thank you, from the bottom of my heart- 2017 here we come! Um, favorite picture of the season!! 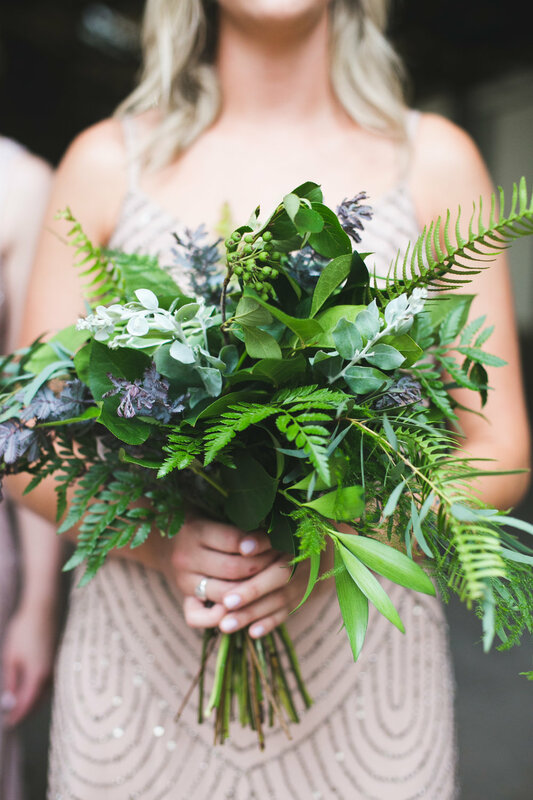 Can all of you sweet brides send me a "hug the bouquet" shot pretty please??!?! Looking back into June at Sabrina and Knute's beginning to a lifetime of happiness reminded me how incredible their day was. 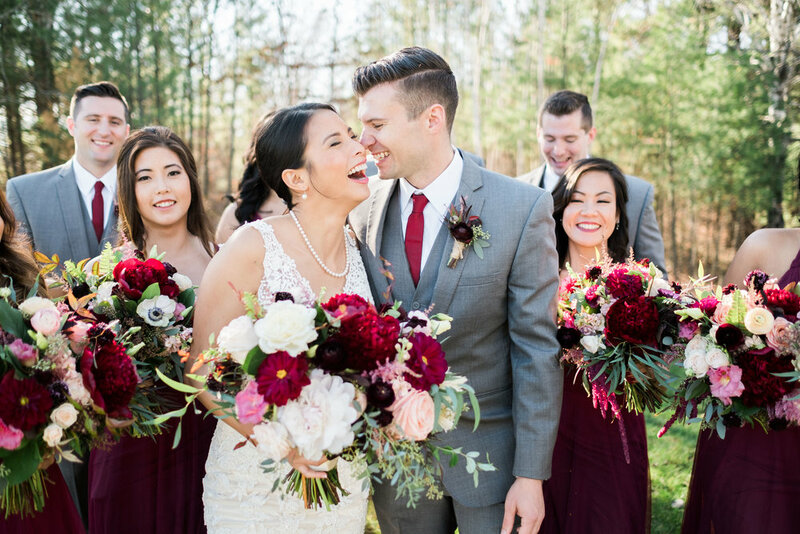 They celebrated their wedding at North Pacific Event Center and had a fun, fresh and totally unique style. 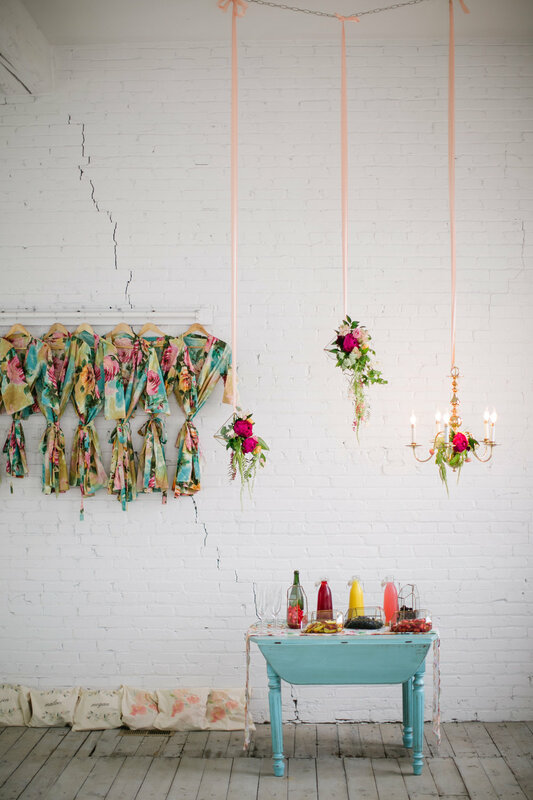 Sabrina started her day off with a killer mimosa bar with fresh fruit, adorable robes, and surrounded by flowers hanging from the ceiling. 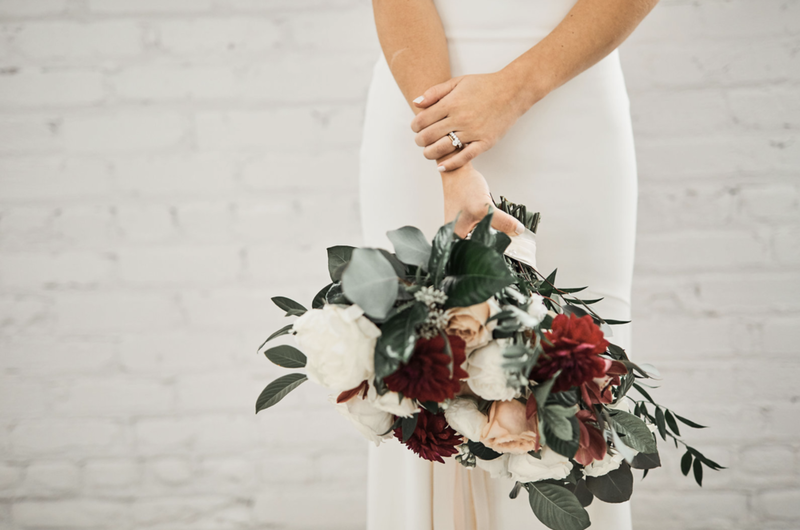 Her bouquet has to be one of my all time favs (yes, I have a lot of favorites). The flower girls all modeled flower crowns to match the bride, hello cuteness. 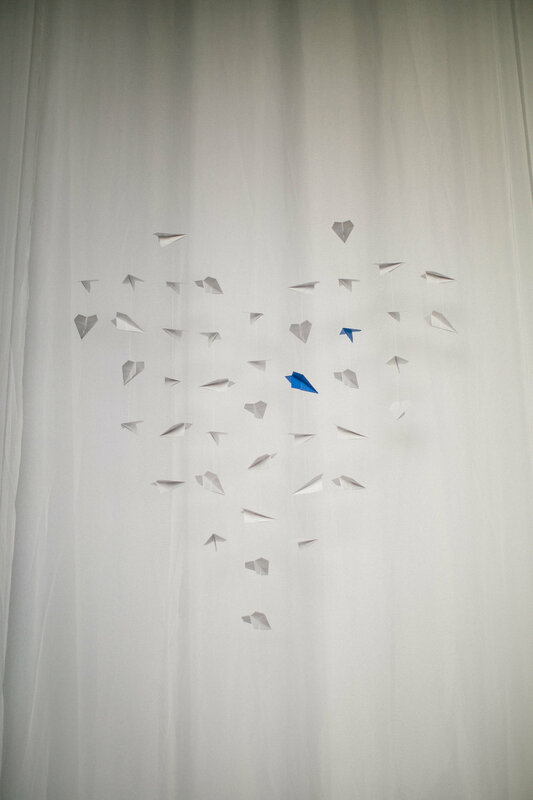 As for the ceremony her dad specially made the geometric backdrop that I got to cover in flowers- dream job right here! I think Aimee must of had a little fun shooting them :) there were so many pictures it was hard to choose! 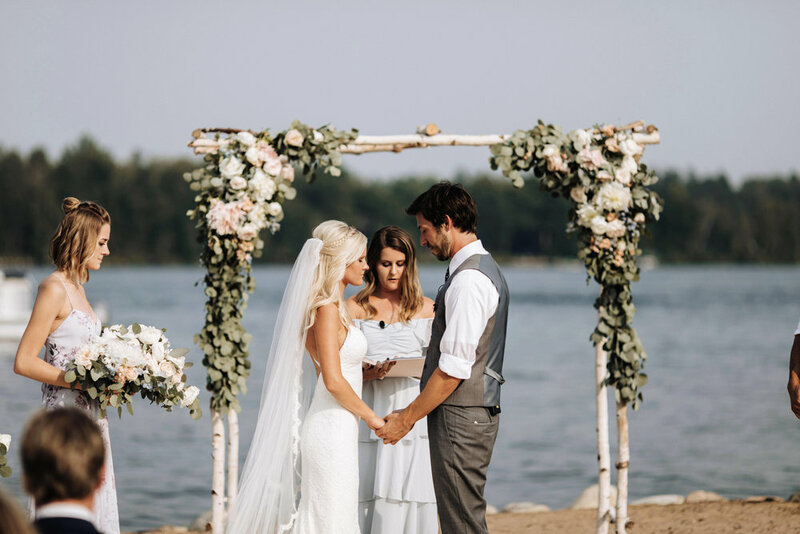 Knute and Sabrina- thank you for letting me be a part of the beginning of happily ever after, I so am blessed to do what I do everyday. Ps. 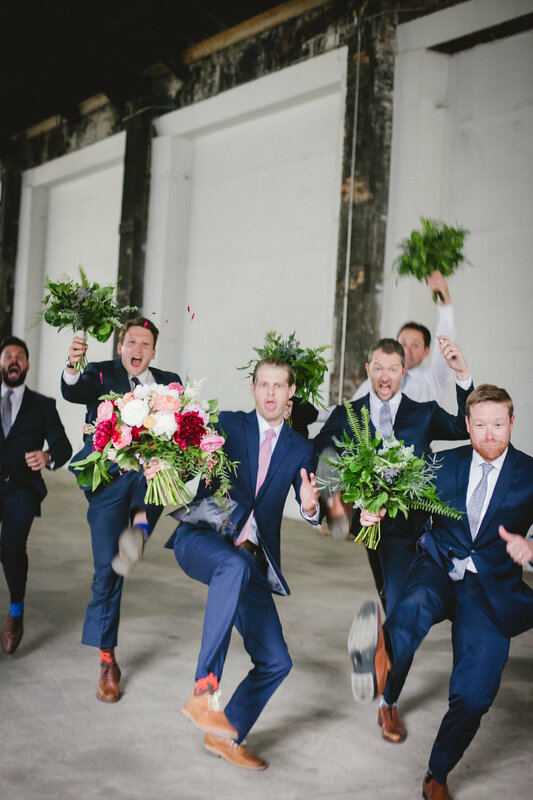 check out the picture of the groom and groomsmen with the bouquet...makes me giggle every time I see it. 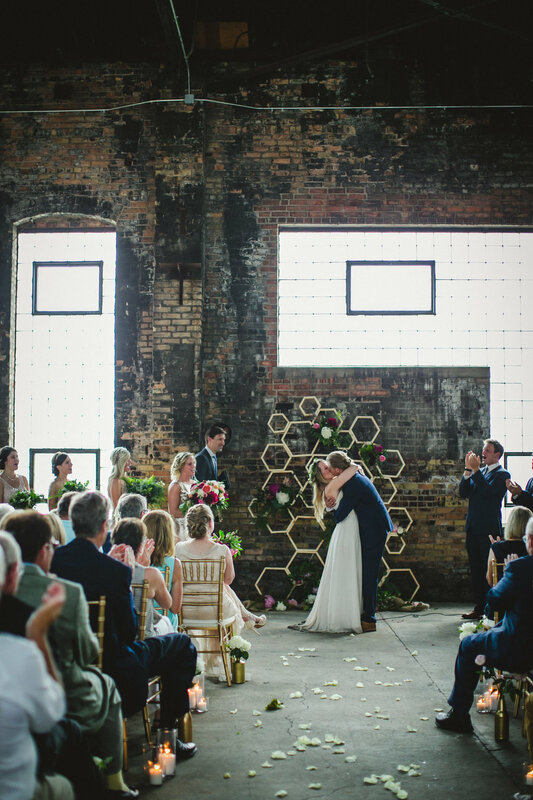 A beautiful wedding for a beautiful couple, inside and out. 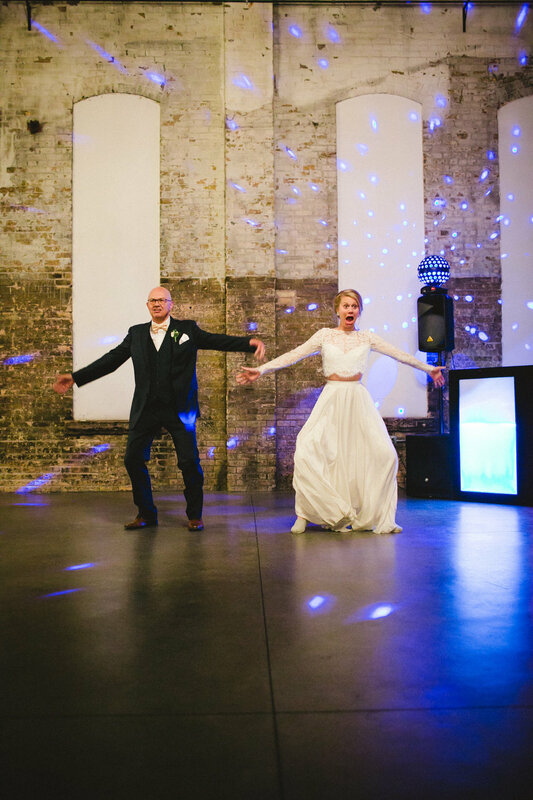 Ross and Naomi celebrated their wedding day at The NP Event Space last fall. 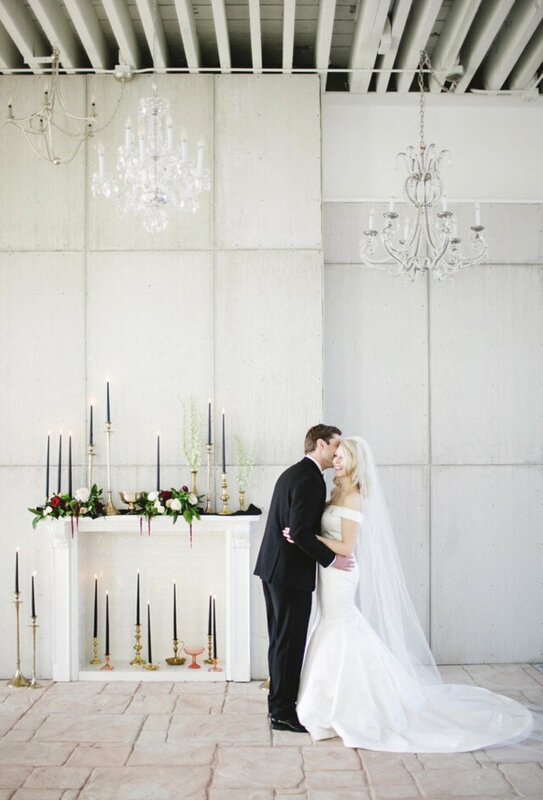 Looking back at the photos, I adore the modern day fairytale vibe. 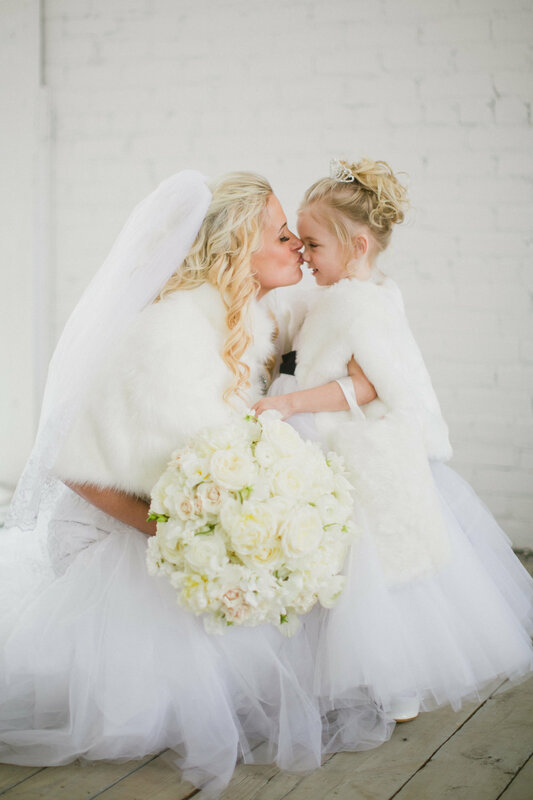 The bride was breathtaking and the bridesmaids were absolute perfection... And those flower girls?! So unbelievably honored to be a part of this gorgeous day. 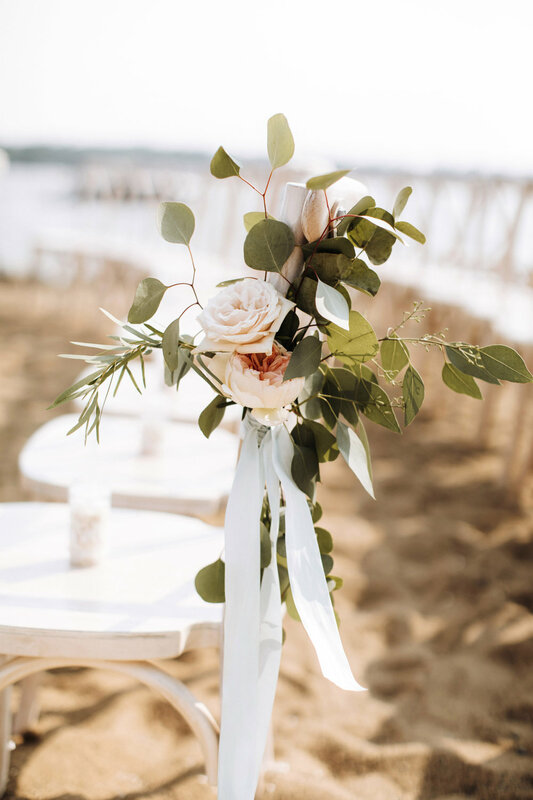 Kate Kuepers of Bloom Designs is a Wedding and Event Florist and Planner located out of the beautiful Brainerd Lakes in Minnesota. 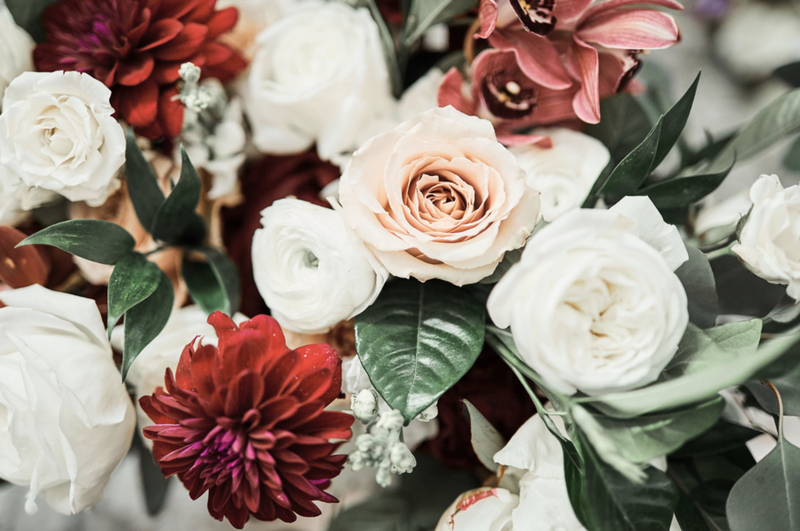 visit Bloom on facebook and check out our instagram!